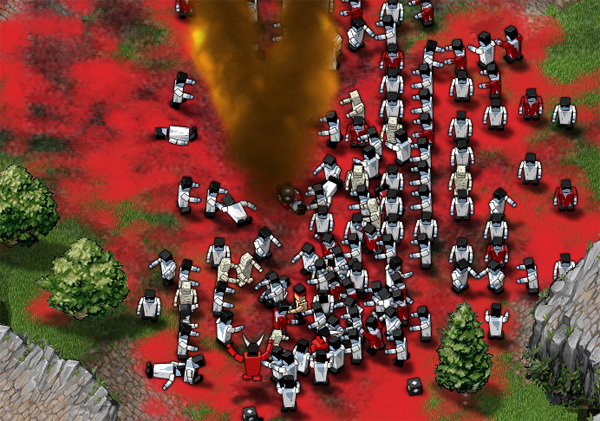 Countless thousands (eventually millions) of zombies to kill. It's nothing personal, just a case of us or them. That’s the idea in Boxhead: The Zombie Wars. You control the player from a birds eye view and attempt to fend off wave after wave of zombies while the level increases. Defeating more zombies allows you different guns, perks, specials and ammunition ranging from shotguns to barricades to airstrikes. Zombies and Devils are back from the previous versions, but watch out, Boxhead: The Zombie Wars has some newcomers. Runners are zombies that will run after you when the get you in their sights. Mummies spring from the ground and attack. Vampires turn into bats and will appear right next to you, be careful, they are very dangerous. The action is frenetic as more and more zombies come from your brain as the level increases. There are a few different levels but the cosmetic differences are almost negligible as one looks exactly like the other save for a change in terrain and background. 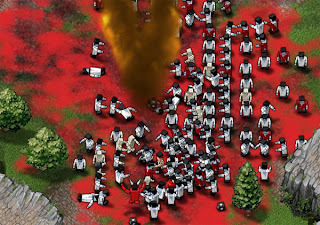 A very fun Zombie game, you can play here.